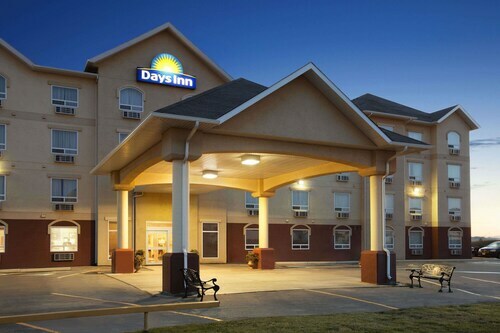 Situated in Dawson Creek, this hotel is within 2 mi (3 km) of South Peace Community Multiplex, Dawson Creek Art Gallery, and Alaska Highway House. Northern Alberta Railway Park and Walter Wright Pioneer Village are also within 3 mi (5 km). 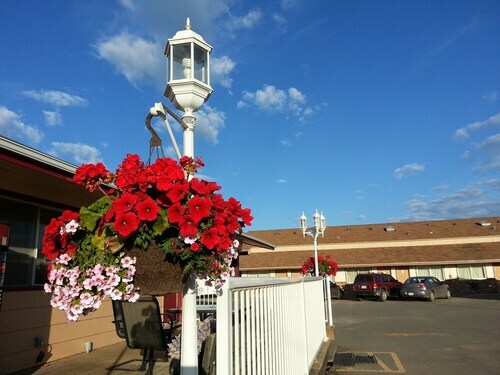 Located in the heart of Dawson Creek, this hotel is within 2 mi (3 km) of South Peace Community Multiplex, Dawson Creek Art Gallery, and Alaska Highway House. Northern Alberta Railway Park is 1.8 mi (3 km) away. 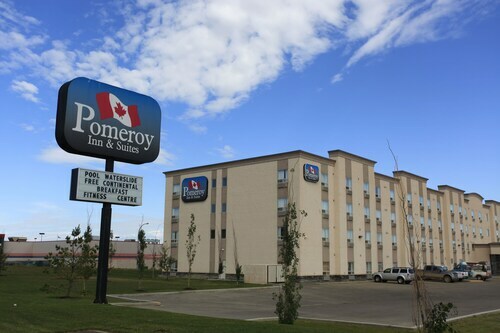 Situated near the airport, this hotel is within 2 mi (3 km) of South Peace Community Multiplex, Dawson Creek Art Gallery, and Alaska Highway House. Northern Alberta Railway Park is 1.7 mi (2.8 km) away. 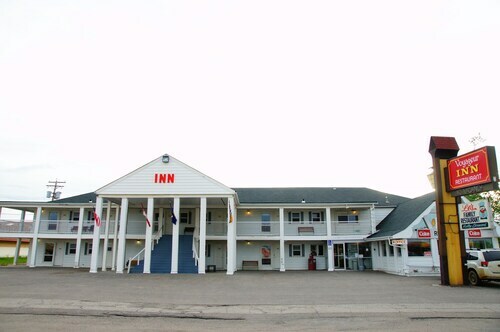 Situated in Dawson Creek, this hotel is within 1 mi (2 km) of Dawson Creek Art Gallery, Alaska Highway House, and Northern Alberta Railway Park. South Peace Community Multiplex and Walter Wright Pioneer Village are also within 3 mi (5 km). Situated in Dawson Creek, this motel is within 1 mi (2 km) of Dawson Creek Art Gallery, Alaska Highway House, and Northern Alberta Railway Park. South Peace Community Multiplex and Walter Wright Pioneer Village are also within 3 mi (5 km). Situated in Dawson Creek, this hotel is within a 15-minute walk of Dawson Creek Art Gallery, Alaska Highway House, and Northern Alberta Railway Park. South Peace Community Multiplex and Walter Wright Pioneer Village are also within 3 mi (5 km).